I love Mondays ~ I do! 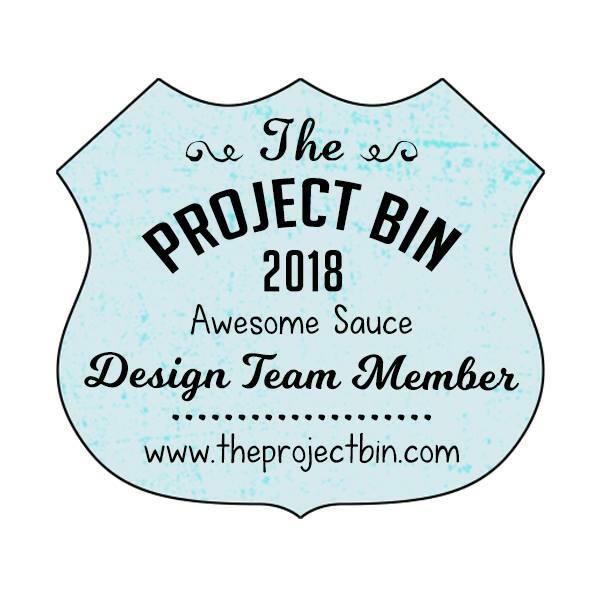 It's the day I get to share with you my card from The Project Bin! either the image, the paper, or both! This Many More stamp set from The Project Bin is so timely for me. so it's nice to have this very versatile stamp set on hand. It covers a variety of occasions ~ all in one stamp set! I love that this set includes a smaller sentiment that fits perfectly inside! that I was very blessed to win! both on the front and the inside. colored it and popped it up on 3D foam. for more inspiration and to see the new Product Catalog. Delightful!! Your card is so beautiful with that lovely paper and the way you used the stamps! Amazing design! 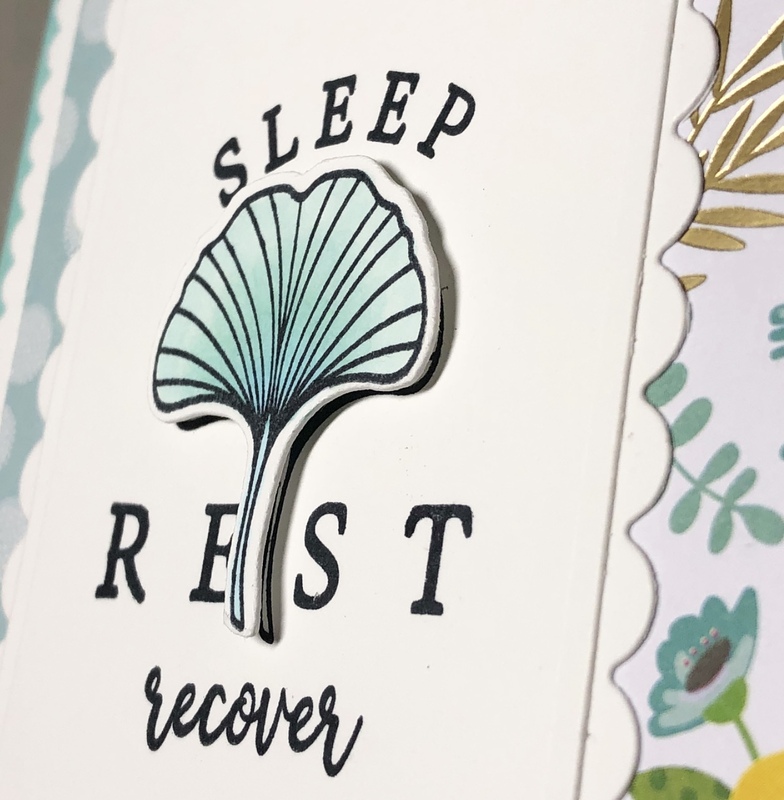 Love this great Get Well card! And, I love the floral DP!!! Oh my Kelly this card immediately reminded me of you and your family. I'm thinking a couple people in your family need to rest and relax and another needs to get better soon . Great card my sweet friend. Lovely card! Sure to bring cheer to someone's day! 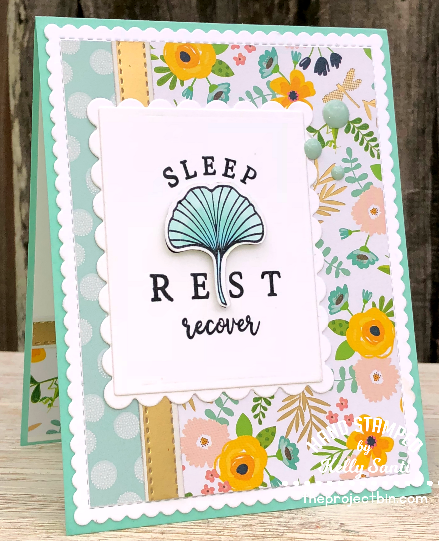 Oh Kelly how gorgeous this is - love the Genko leaf and how you have made it the star, especially against the floral background paper. Kelly, this is a beautiful card, sure to make the recipient feel better just looking at it. Lovely paper choices to go along with the awesome stamps! Such a soothingly pretty card! Love the designer paper it goes so well with your stamps. Great touch with the gold "ribbon" too. 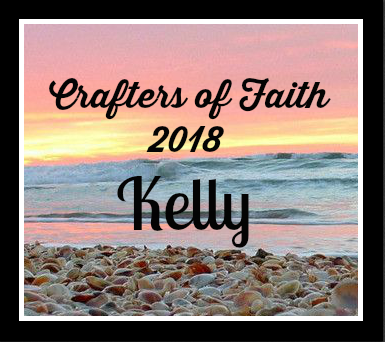 Kelly, Your fussy cutting is amazing! It looks so much like a die that at first I thought, wait, I don't remember a die! Seriously. Your fussy cutting is outstanding. I keep scrolling back up at your card because I just love your use of papers!!! I always feel like I am missing something when I use DP. Like I just don't quiet do enough. Your scallops and stitched layers are gorgeous! 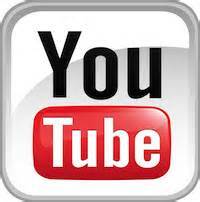 I am a totaly FAN! So fun that we both used the same stamp set today with entirely different results!!! So very soft, and pretty. A very calming card. 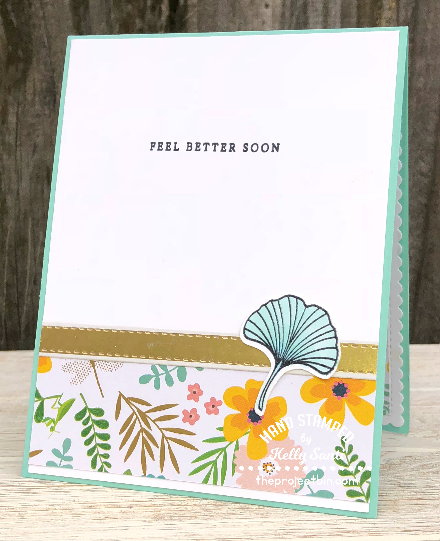 The soft colors and the floral paper is so perfect for a get well card. Love the stitched details. What an awesome card, Kelly!! I hate putting get well on cards!! This is divine! !